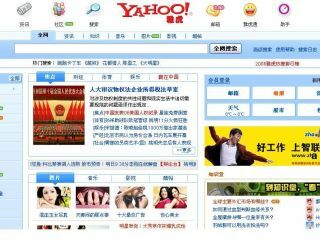 Yahoo China is being sued by the world's top music companies for its alleged involvement in record piracy. EMI, Sony, BMG, Music Entertainment, Warner Music and Universal Music are amongst the names being represented by the International Federation of the Phonographic Industry ( IFPI ). They claim Yahoo China provided links to sites containing illegally copied music, and are suing for £355,000. Last year, the IFPI filed a similar law suit against Chinese internet search engine Baidu.com, and lost; it is still waiting the results of its appeal. The IFPI decided to go ahead with this latest law suit regardless, according to the Financial Times . "We expect to eventually win," John Kennedy, IFPI chairman, said yesterday. "We believe they are involved in infringing our members' rights on a major scale." In response, a spokesperson at Alibaba.com , owners of Yahoo China, said the Baidu.com ruling had set a president. "Search companies can't be held responsible for content held on third-party websites." Alibaba and the IFPI were close to signing a content deal to bring legal downloads to the Chinese market, the Financial Times says. However, Alibaba decided the IFPI's approach to Western markets would not work in China as it was too "confrontational".